In January 2015, Dr. Mark Kinlaw walked into the President’s office at Rockingham Community College and into what he calls “a fantastic and dynamic place to be.” When President Kinlaw looks back on his 14-year tenure as Vice President at Robeson Community College, he feels a bit of pride in his contributions to the learning environment there. Dr. Kinlaw offers five thoughts for current and future students. “First, they need to know that you can have such a major impact on the students, faculty, staff and community. This makes for a great career. You work one-on-one with leaders on campus, in the community and in business. Second, read as much as you possibly can to stay informed on best practices in education. Third, network continuously. Go to conferences, collaborate, and stay connected with colleagues you meet during your education at NC State. Fourth, remember that being a leader is not about you. It is about the students and the people you lead. Finally, be a transformational leader. Take what you get and make it better, which will require some tough decisions, but make them and press on. Stick with it and stay the course! 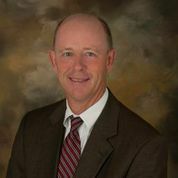 Dr. Mark Kinlaw holds a bachelor’s degree in History from Wake Forest University, a master’s of art in Administration and Supervision from UNC-Pembroke, and his Ed.D in Adult and Community College Education from NC State University. Dr. Kinlaw began his career as faculty, teaching history and education in 1988 at Robeson Community College. He ended his tenure there in 2015 as the Vice President for Instruction before moving into the presidency at Rockingham Community College.